2018 was the fourth-costliest year since 1980 in terms of insured losses. This was due to an accumulation of severe and costly events in the second half of the year. When compared with the record losses of the previous year from Hurricanes Harvey, Irma and Maria, the indications at the start of 2018 were that it would be a more moderate year. However, the second half of the year saw an accumulation of billion-dollar losses from floods, tropical cyclones in the US and Japan, wildfires and earthquakes. The overall economic impact was US$ 160bn, of which US$ 80bn was insured. A comparison with the last 30 years shows that 2018 was above the inflation-adjusted overall loss average of US$ 140bn. The figure for insured losses – US$ 80bn – was significantly higher than the 30-year average of US$ 41bn. 2018 therefore ranks among the ten costliest disaster years in terms of overall losses, and was the fourth-costliest year since 1980 for the insurance industry. In particular, Hurricanes Michael and Florence in the Atlantic, and Typhoons Jebi, Mangkhut and Trami in Asia, all left their mark. Overall losses from tropical cyclones in 2018 came to roughly US$ 57bn, of which US$ 29bn was insured. There was also an extremely high impact from wildfires in California that produced overall losses of US$ 24bn and insured losses of US$ 18bn. Over the course of the year, 29 events each resulted in an overall loss of US$ 1bn or more. 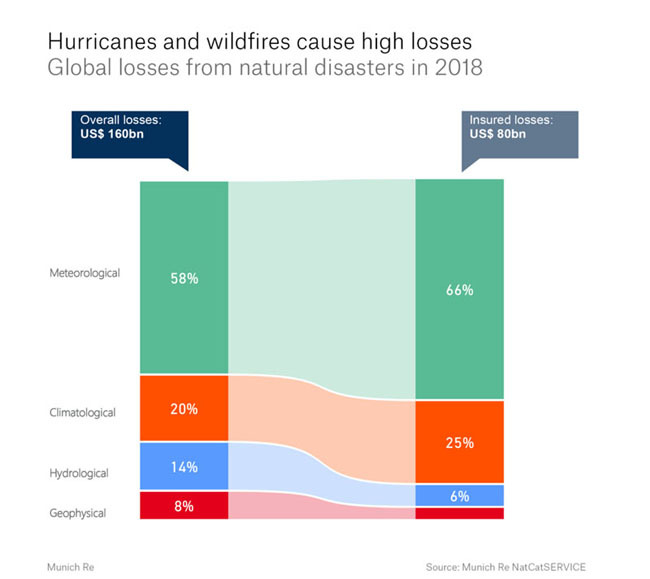 Roughly 50% of global macroeconomic losses from natural catastrophes in 2018 were insured, a significantly higher percentage than the long-term average of 28%. North America accounted for 68% of insured losses, Asia for 23% and Europe for 8%. The remaining losses of less than 1% were divided between South America, Africa, Australia and Oceania. Payouts by the insurance industry helped to boost catastrophe resilience, in other words the ability after a disaster to return to normality as quickly as possible. However, industrialised countries still account for the vast majority of insurance payouts following natural catastrophes. There has been a steadily growing willingness in these countries to take out cover against natural hazards since the 1980s. The situation with insurance protection in emerging and developing countries is quite different, despite the fact that, for financially weak and low-income countries, improving risk management and resilience-building systems is an important way of mitigating the impact of humanitarian disasters and promoting sustainable economic growth. Regrettably, 10,400 people around the world lost their lives in natural disasters this year. This groups 2018 with the years 2016, 2014, 2000, and three other years in the 1980s, in which the victim toll was around 10,000. Geophysical events accounted for 34% of all fatalities. This is much lower than the 49% figure over the period 1980–2017. Storm events claimed 24% of the victims, roughly the same as the 26% average since 1980. However, the picture was very different for the number of lives lost in flood events; this year’s figure of 35% was substantially higher than the 14% average. The reason for this was large-scale flood events in Asia and Africa. Earthquakes with and without tsunamis in August, September and December in Indonesia claimed the lives of over 3,000 people. These proved to be the events with the highest number of fatalities in 2018, followed by floods in India, Japan and Nigeria. Worldwide, 273 people were killed in wildfires over the course of the year. This is the second-highest number in the time series since 1980 and is only surpassed by the extensive fires in Indonesia in 1997, which claimed the lives of 375 people. Heading the list in 2018 were fires in Greece with 100 fatalities and the US with 108. The Munich Re NatCatSERVICE registered 850 events in 2018. Geophysical events such as earthquakes, tsunamis and volcanic eruptions accounted for 5% of the total. Storms made up 42%, floods, flash floods and landslides 46%, while 7% fell into the categories of heat, cold and wildfire. Generally speaking, the distribution followed the long-term trend towards a greater number of storms and floods. The continents most affected were Asia (43%), North America (20%) Europe (14%) and Africa (13%). 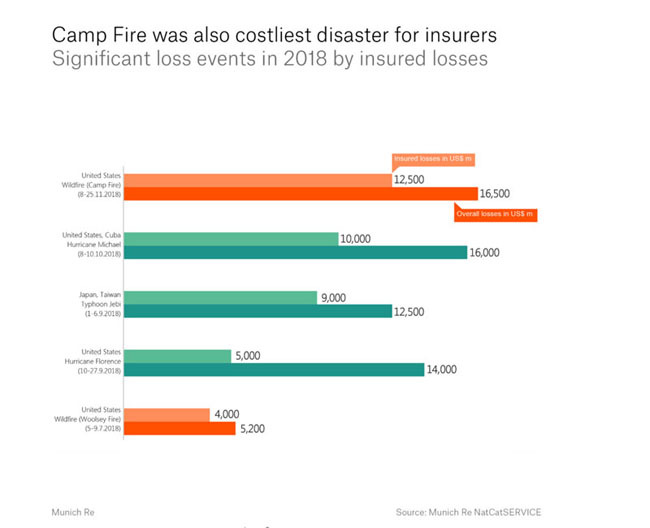 Munich Re (https://natcatservice.munichre.com/) categorises events from small loss to major disaster according to overall losses and/or number of victims. On this basis, 12% of events in 2018 fall into the highest categories 3 and 4 (severe events and catastrophes). Category 2 makes up 28% and category 1 (small-scale loss events) 60%. This continues the trend towards a greater number of small-scale, high-frequency events with a lower magnitude of loss. This is the category most strongly influenced by reporting, and is therefore subject to the greatest uncertainty. North America was badly hit by two types of event in particular. Firstly, the 2018 hurricane season again resulted in high losses of US$ 31bn, of which US$ 15bn was insured. Hurricanes Michael and Florence were responsible for the bulk of the burden. These losses are admittedly far short of the record overall loss of nearly US$ 230bn in 2017 and insured losses of US$ 93bn. 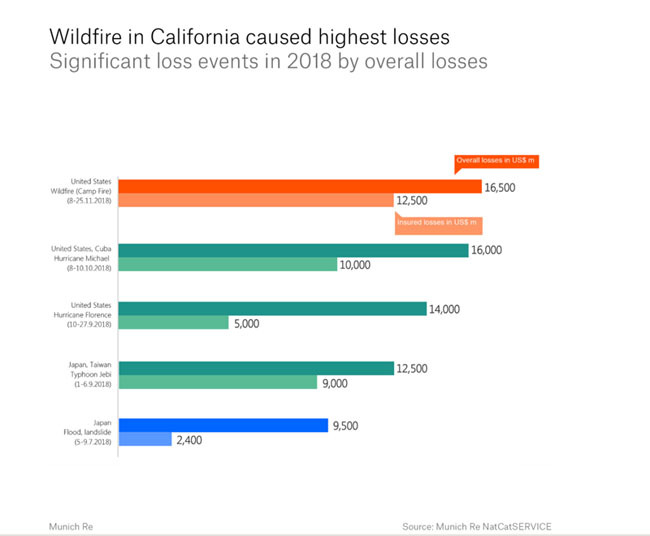 In addition, billion-dollar losses resulted from major wildfires, such as the Carr Fire that devastated California in July/August and the Camp and Woolsey Fires of November. Taken together, these events caused overall losses of US$ 24bn, of which US$ 18bn was insured. A total of 110 people were killed in 15 major wildfires. 163 natural catastrophe events were registered across the American continent, producing overall losses of US$ 82bn, of which US$ 53bn was insured. More than 800 people lost their lives. The highest number of fatalities was 165 from the de Fuego volcanic eruption in Guatemala. A heatwave in Canada in June and July, mainly affecting the greater Montreal region, pushed temperatures above 35°C. It is anticipated that there will have been an additional 100 fatalities from this event when compared with average annual mortality. South America experienced an extremely low number of natural disasters in 2018. The NatCatSERVICE database registered just 51 significant events. A total of 144 people were killed and losses amounted to some US$ 1bn. There were 72% hydrological events, consisting primarily of flooding, flash floods and landslides. Other categories included storms (20%), earthquakes (6%) and climatological events (around 2%). Europe can look back on a loss year that was similar to 2014, 2015 and 2017, with a total of 113 events and overall losses of US$ 16bn (€13.5bn). Some US$ 6bn (€5bn) was paid out in insured losses. In particular, the severe drought that affected large areas of Europe in 2018 resulted in widespread losses in agriculture and forestry. This drought produced an overall loss of around US$ 3.9bn (€3.3bn), making it the year’s costliest event in Europe. Only a small portion of this (US$ 280m or €230m) was insured. In addition, two winter storms, Friederike and Burglind, swept across Europe in January, leaving in their wake overall losses of US$ 4bn (€3.1bn), of which around US$ 3bn (€2.4bn) was insured. In mid-October, the remnants of Tropical Storm Leslie battered France, Portugal and Spain. With wind speeds of up to 170 km/h, accompanied by heavy rainfall, the US$ 350m (€310m) in property damage was mainly caused by flash floods and landslides. Roughly US$ 50m of the total was insured. Shortly afterwards, a further storm developed that primarily affected Italy, Croatia and Slovenia along the Adriatic coast. In some cases, strong gusts of the local Bora wind swept over coastal regions. Losses came to US$ 3.5bn (€3bn), making this the second-costliest event in Europe after the drought. The deadliest events in 2018 also included the wildfires in Greece, which claimed 100 lives, and a cold snap in February and March that led to 77 fatalities. Around 100 significant events were registered for the continent of Africa. Almost 1,200 people were killed, the majority in flood events and flash floods in Nigeria and Kenya. Overall losses for 2018 are estimated at US$ 1.4bn. Because of the low insurance density, however, insured losses are extremely low. Asia was the worst-affected continent in terms of the number of events. It accounted for 43% of all events worldwide and for 74% of fatalities in 2018. Overall losses came to US$ 59bn. This corresponds to roughly 37% of the global loss burden. US$ 18bn of the total was insured, which corresponds to just 24% of insurance industry payouts worldwide. A total of 7,750 people lost their lives in natural disasters in the region, with Japan and Indonesia particularly affected. In Japan, even though just 14 events were registered, these included five events with losses in excess of one billion dollars. In July, intense rainfall led to flooding, accompanied in some cases by severe flash floods and landslides in a number of major cities, including Hiroshima, Kyoto and Osaka. Overall losses came to US$ 9.5bn and insured losses to US$ 2.4bn. In September, the two tropical storms Jebi and Trami made landfall, causing widespread devastation. Here too, losses mounted up, and together the two storms produced overall losses of US$ 15.9bn, with insured losses of roughly US$ 11.6bn. Two earthquake events also accounted for a substantial portion of the loss burden. In June and September, quakes struck the prefectures of Osaka and Hokkaido, pushing losses up by a further US$ 9bn. Japan suffered US$ 34bn in losses from natural disasters in 2018, of which US$ 16bn was insured. Indonesia was hit extremely hard by tsunami events. These were triggered by earthquakes and undersea landslides that occurred on the slopes of the active volcano Anak Krakatau. In September, a tremor near the city of Palu and a subsequent tsunami killed more than 2,000 people and caused billions of dollars in property damage. Towards the end of the year, a further tsunami occurred after the volcano Anak Krakatau erupted. An underwater landslide triggered a tsunami that claimed more than 400 victims. The loss for insurers is likely to be slight, as few of those affected were insured. Higher insurance penetration in such countries could help them deal more swiftly with the financial consequences of natural disasters. Around 40 events in Australia and Oceania caused overall losses of approximately US$ 1.5bn, of which US$ 540m was insured. On 20 December, a hailstorm in Sydney caused insured losses of at least US$ 200m, making it one of Australia’s ten largest hail losses of all time. Smaller losses were incurred in Australia and New Zealand from cyclones, storms, wildfires and flash floods. Overall losses from individual events, such as the earthquake in Papua New Guinea in February, and Cyclone Gita on Tonga, remained in the low hundreds of millions of dollars. 164 people lost their lives in the region, the majority of them in the earthquake on Papua New Guinea. President Obama is set to unveil the nitty-gritty of his sweeping, state-by-state plan to fight climate change Monday — his most determined effort yet to tackle the effects of global warming by reshaping the nation’s power sector. Taking the federal government to court over environmental regulations has been a palpable source of pride and political capital for Gov. Greg Abbott, who filed dozens of lawsuits against the U.S. Environmental Protection Agency as attorney general. Both he and his successor, Ken Paxton, have promised the same approach with the so-called Clean Power Plan, which seeks to drastically cut carbon dioxide emissions from the nation’s power plants. Some Texas electric utilities are joining environmentalists in hoping policymakers — after securing another campaign trail talking point — eventually will craft a strategy to meet the new requirements to avoid being slapped with a mystery plan devised by the EPA and to bolster regulatory certainty. "I think it’s always better for the state to participate in the plan rather than having the feds do the plan and tell you how it’s going to be," said John Fainter, president and CEO of the Association of Electric Companies of Texas, referencing a similar situation in 2013 involving greenhouse gas permits. "So I hope when the litigation is concluded that there’s time and willingness to do so." The federal regulations seek to drastically cut carbon emissions from the nation’s existing power plants – 30 percent from 2005 levels by 2030, under a draft proposal outlined last year. 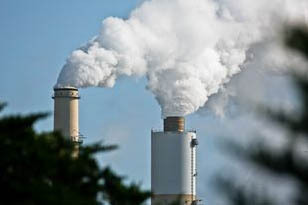 They largely target the nation’s more than 600 coal-fired power plants, the largest source of greenhouse gas emissions. Rather than issuing a blanket regulation, however, federal regulators are offering states a host of options to reach pollution reduction targets — making coal plants more efficient, for example, or increasing the use of cleaner-burning natural gas. States also may expand their wind and solar portfolios and energy efficiency initiatives — or adopt "cap and trade" programs, schemes in which companies bid on the right to pollute. Under the preliminary plan, Texas — home to about 20 operational coal-fired power plants — would have to slash roughly 200 billion pounds of carbon dioxide emissions in the next two decades. The state’s ultimate target will become known when Obama unveils the final rule Monday. "The climate is changing. It’s changing in ways that threaten our economy, our security and our health," the president says in a video posted to the White House’s Facebook page at midnight Saturday, confirming the announcement. "This isn’t opinion, it’s fact — backed up by decades of carefully collected data and overwhelming scientific consensus and it has serious implications for the way we live." The plan already has drawn one lawsuit from more than a dozen coal-friendly states. But a federal appeals court dismissed the challenge in June, concluding it was premature since the EPA had yet to finalize the rule. Initially, states were to submit plans by next summer detailing how they would reach compliance with the new standards by 2020. Word on the street, said Fainter, is that the EPA may give states extra time, responding to concerns from some utilities and states. An EPA spokeswoman would not confirm or deny that change, but if true Fainter said it would make even less sense for Texas not to come up with a plan achat generique viagra. Some utilities agree. "If, in fact, the states are afforded more time to craft their (implementation plan), it seems logical that they would want to avail themselves of this time to develop a solution which addresses the individual and unique situation of each state," said Brett Kerr, a spokesman and lobbyist for Calpine, the largest independent power producer in the nation. Texas doesn’t "necessarily have to stand alone" and could team up with other states to craft a compliance plan if it makes the process smoother, Kerr said. "We believe that the state would be best served by participating in the process." In June, Paxton called the looming rules part of Obama’s "war on coal and fossil fuels" during a keynote address at an anti-Clean Power Plan event hosted by the Texas Public Policy Foundation. "It’s pretty hard to imagine that we ever take a position that Texas should comply," said Doug Domenech, director of the foundation’s Fueling Freedom Project. "Regardless of the deadline, the EPA is imposing a plan on Texas and on other states that will result in unnecessary increases in the cost of power to ratepayers." "I’m sure the first reaction of our governor and attorney general will be to sue the federal government, but I think it’s probably a losing proposition, and if the lawsuit is dispensed with rather quickly then we’re going to have to do something," he said, predicting that "if we just want the default federal plan I think that will be harmful for industry, and business will get behind a special session for a Texas plan." The utilities association asked state lawmakers not to issue any plan-related mandates or prohibitions "because we didn’t know what we were going to see and chances are pretty good that if the Legislature had done something along those lines it would’ve probably been wrong," Fainter said, adding that some association members are on board with the plan and prepared to comply while others are not. "We’re just not in a one-size fits all environment," he said. "We were already moving towards renewables before all the proposed plans were in place," said Eddie Gutierrez, a spokesman for El Paso Electric Company, which is set to be coal-free by 2016. "Texas is already on track to achieve about 65 to 70 percent of the reductions that will be required under the Clean Power Plan," said John Hall, Texas director for the Environmental Defense Fund’s clean energy program. A recent report Calpine co-commissioned — touted by Obama on Twitter — found that carbon dioxide emissions nationwide decreased 12 percent from 2008 through 2013 even as the economy grew, Kerr noted. 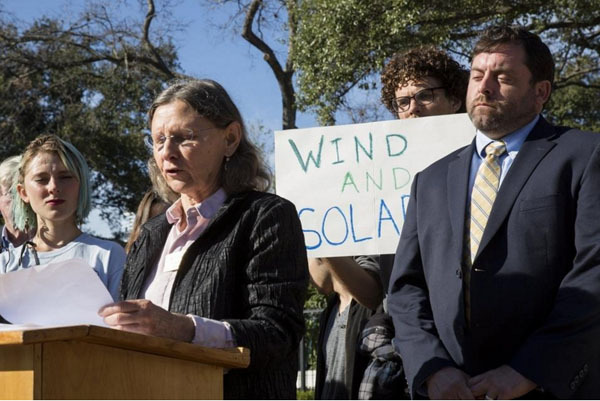 "We think that Texas is well-positioned to comply with the plan and if you’re well-positioned to comply with a federal law, it just doesn’t make a lot of sense to go down a path that’s going to be expensive and unfortunate for everyone involved," said Chrissy Mann, a senior Texas campaign representative with the Sierra Club’s Beyond Coal Campaign. China, the world’s biggest emitter of greenhouse gases, is considering plans to set an absolute cap on its carbon dioxide emissions from 2016, a top government adviser said. The target will be written into China’s next five-year plan, which comes into force in 2016, He Jiankun, the chairman of China’s Advisory Committee on Climate Change, told a conference in Beijing. "The government will use two ways to control carbon dioxide emissions in the next five-year plan, by intensity and an absolute cap," said He, a former vice-president at Tsinghua University. This is the first time that a senior government adviser has publicly spoken about a timetable for China’s carbon cap, but He later tried to play down the significance of his statement. "This is still a proposal made by Chinese experts after extensive research, [but is] not yet a government decision," he told theSouth China Morning Post. The statement comes after the United Sstates, the world’s second-biggest emitter, announced for the first time plans to rein in carbon emissions from its power sector, a move the Obama administration hopes can inject ambition into slow-moving international climate negotiations. China has set a target to reduce its carbon intensity, or carbon emissions per unit of economic growth, by between 40 per cent and 45 per cent by 2020 from 2005 levels. Developed nations have accused Beijing of holding back progress in UN talks on climate change due to its reluctance to take on a quantified emission reduction target, which is considered more stringent than an intensity target vente pharmacie viagra. Chinese negotiators have been arguing that as a developing nation, the country should not accept a binding target as do its industrialised counterparts. But some senior climate officials at China’s National Development and Reform Commission, the powerful state economic planner, have been pushing for a limit on carbon emissions domestically, according to Li Shuo , climate policy officer at Greenpeace East Asia. "With an energy cap already in place in the nation’s 12th five-year plan [2011-2015], it is only a natural and important step to move China’s carbon regulation from an intensity-based approach to one based on absolute carbon dioxide limits," Li said. Having a domestic carbon cap would help pave the way for China to take on binding targets internationally after 2020, as more than 180 countries are negotiating a new climate treaty for the post 2020 period, to be agreed by the end of next year. Despite the absolute cap on carbon dioxide, He told the conference that China’s greenhouse gas emissions would only peak in 2030, at around 11 billion tonnes of carbon dioxide-equivalent. 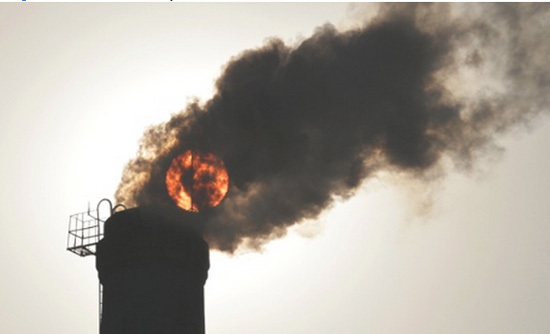 Emissions now stand at between 7 billion to 9.5 billion tonnes. This scenario would depend on China achieving a real reduction in coal consumption from sometime between 2020 or 2025 and on the nation meeting its target of having 150-200 gigawatts of nuclear power capacity by 2030. Li at Greenpeace said he was still waiting to see the official figure for China’s carbon cap. "It would be meaningless if the target is too lax. Meanwhile, the world cannot wait for China to reach its peak emissions as late as 2030," he said.